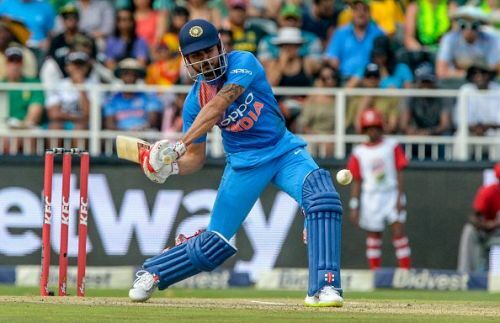 An unbeaten century from skipper Manish Pandey outdid a similar feat from Will Young to ensure India A chased down a 300+ total for the second straight time on their way to a five-wicket win over New Zealand A in the second unofficial one-dayer at the Bay Oval in Mount Maunganui. The result meant India took an unassailable 2-0 lead in the three-match one day series. 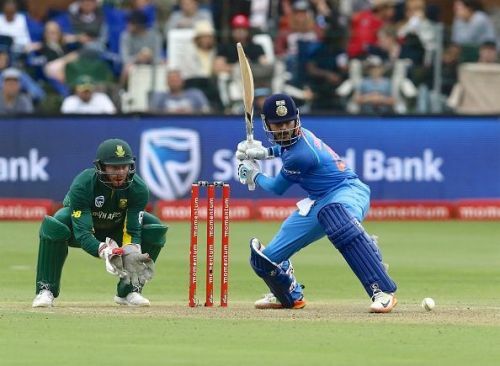 Set 300 to win on another good batting track, Pandey paced the chase superbly for the visitors to ensure the run rate was never out of touch for the Indian side, after coming in at the loss of two early wickets. He was supported on either side of the order, as Shreyas Iyer and Vijay Shankar both stroked fifties to keep India on track for the target. Despite a couple of late breakthroughs, India A got home comfortably with an over to spare. It was another day for the batsmen after Pandey won the toss and sent New Zealand A into bat for a second straight time on the Bay Oval surface. Hamish Rutherford was dismissed early this time, but that was about all India A had cause to celebrate about for some time after Will Young joined George Worker in the middle. The pair shared in a huge second wicket stand worth 190 off 193 balls, taking advantage of a good batting surface and battering the Indian seamers. Khaleel Ahmed and Navdeep Saini took some punishment in particular, as Young brought up his century off 102 balls, which included six fours and three sixes. Worker was just as severe, bringing up his fifty from 51 balls. For Young, yet to debut for New Zealand but touted as a prospect for some time, this performance may well go a long way to seeing him play international cricket later this summer. A total well in excess of 300 appeared a strong possibility before Ahmed finally dismissed Young for 102 in the 33rd over to end the stand. However, from there the floodgates appeared to open for the New Zealand A side as India A's spinners came to the fore yet again. In the very next over, Krishnappa Gowtham had captain Corey Anderson caught by Saini, before Worker fell one run short of a deserved century himself, bowled by Akshar Patel not long after. That spell of bowling brought three wickets for 24 runs in seven overs and the momentum with India A going into the last ten overs, with the score sitting at 223/4. Gowtham finished with 1-46 off nine overs whilst Patel completed his ten for 57 runs, doing the job required for Pandey in that crucial middle stage. A total of 300 was still on the cards before Saini struck twice, bowling Tim Seifert and Doug Bracewell to have New Zealand at 236/6 with just seven overs to play and in some trouble. The New Zealanders were suddenly heading for a well below par total before all-rounders Darryl Mitchell and Cole McConchie came together for a crucial seventh wicket partnership. The pair put on 58 in 36 balls as Mitchell cleared the boundary rope four times during the stand. Mitchell, a renowned power hitter around New Zealand domestic circles, was particularly aggressive, making 45 off 28 balls, whilst McConchie played a good supporting role, making 21 off 22 balls. The finish ensured New Zealand A would make India A chase at least 300 again under lights for a second straight match. The India A batting unit put up a consistent performance from start to finish in the first one-dayer, and they proved their worth again with another solid chase. Shubman Gill and Mayank Agarwal got them off to another quick-fire start, taking on Seth Rance and Hamish Bennett in the opening overs. The pair plundered ten boundaries between them, and despite the loss of both openers by the 12th over, had gotten the score up to 60. The middle order backed up again impressively, as Pandey and Iyer came together and quickly got things going, both players looking quite busy in their approach to the innings. The New Zealand spinners looked less of a threat and the length too short at times as both players worked McConchie and left-armer Rachin Ravindra around the outfield comfortably. Iyer backed up his fifty in the first match with another one here, hitting 59 off 63 balls which included six fours and one six. By the time he was caught behind off Bennett, the pair had put on 90 in short time, to leave India A at 148/3 just after the half-way stage of the innings. The run-rate never wavered from around six to ensure India A were always on top of the chase, as Pandey and Shankar made the New Zealand A bowlers toil. The pair latched on to anything short, cutting and driving particularly well square on the off-side. Pandey seemed to have a lot of time and was in superb touch, as evidenced by the six he hit Mitchell for, on the up and well over long off. The stand was eventually ended at 123 after Shankar was bowled by McConchie for 59. Ishan Kishan was then smartly caught by Seifert off the very next ball, however, to have McConchie on a hat-trick and keep New Zealand A in the game. 29 runs were required from the last four overs but Pandey was not to be denied, bringing his century up off 104 balls as he guided India A home with an over to spare.